LONDON (CNN) - The government of British Prime Minister Theresa May has been plunged into turmoil with the resignation of two senior Cabinet ministers, exposing a deep and perilous split over her Brexit strategy. Foreign Secretary Boris Johnson quit on Monday, saying in his resignation letter that the Brexit "dream is dying, suffocated by needless self-doubt." His departure followed the resignation late Sunday night of the minister in charge of Brexit negotiations, David Davis. A third member of the government, Steve Baker, a junior minister in Davis' Department for Exiting the European Union, also resigned. Only three days ago, May appeared to have agreed on a deal with her fractured Cabinet on the UK's post-Brexit relationship with the EU. That plan is now in tatters and her political future appears uncertain. In his resignation letter, Johnson savaged May's strategy, accusing her of allowing an optimistic Brexit vision to become clouded by a failure of ambition. In what amounted to a declaration of political war, Johnson said May's vision of a close future relationship with the EU would confine the UK to a "status of colony" and amounted merely to a "semi-Brexit." The Prime Minister said she was "sorry and a little surprised" over Johnson's resignation, after "productive discussions" on Friday. "As we developed our policy on Brexit, I have allowed Cabinet colleagues considerable latitude to express their views," she said in her letter of response to him. "But the agreement we reached on Friday marks the point where that is no longer the case, and if you are not able to provide the support we need to secure this deal in the interests of the United Kingdom, it is right that you should step down." May appeared in Parliament earlier on Monday afternoon to defend her plan, minutes after Downing Street confirmed the departure of Johnson. In her statement to members of Parliament, May acknowledged the splits in her government and the departures of her ministers. "We do not agree about the best way of delivering our shared commitment to honoring the result of the referendum." May acted quickly to replace the ministers. Dominic Raab, the former minister of state for housing and planning, was named the new Brexit secretary. He pledged to secure the "best deal with our EU friends and partners" for the UK. He also said he will "step up the preparations for 'no deal' in case the spirit of pragmatism and compromise that we have extended is not reciprocated." Health Secretary Jeremy Hunt was named the new UK foreign secretary on Monday, according to a tweet from 10 Downing Street. A longtime ally of May, he campaigned for remain but now says he supports Brexit. The Prime Minister's latest political drama began late on Sunday night when Davis announced his decision to leave his post, declaring he could not support May's plan for Brexit agreed plan. The agreement involved too close a relationship with the EU, he said, and gave only an illusion of control being returned to the UK after it left the bloc. "It seems to me we're giving too much away, too easily, and that's a dangerous strategy at this time," Davis said in a BBC radio interview Monday morning. Johnson's resignation was more perilous for May given his seniority in government. It came Monday afternoon, just before the Prime Minister was due to make a scheduled statement in Parliament. The value of the British pound dropped on international markets after Johnson's announcement, having risen after the announcement Friday that a Cabinet deal on Brexit had been agreed. 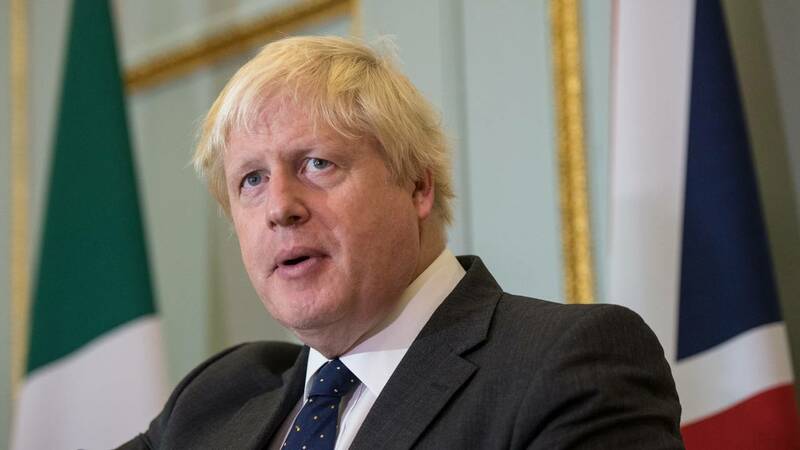 The decision by Johnson, a former mayor of London, to back Brexit, was seen as crucial when the issue was taken to a referendum two years ago. He became a leading figure in the "Leave" campaign, painting a rosy picture of Britain's future outside the European Union. But as Foreign Secretary in May's government, he was prone to gaffes and criticized for not being on top of his brief. Opposition politicians were quick to capitalize on May's troubles. "This mess is all of the Prime Ministers own making," opposition Labour Party leader Jeremy Corbyn told lawmakers. "Two secretaries of state have resigned and still we are no clearer as to what our future relationship with our nearest neighbors and biggest trading partners will be." In her statement to Parliament, May attempted to give an impression of business as usual. She said she would present a detailed paper on Thursday on the government's negotiating position for a post-Brexit relationship with the EU. But in reality, she will be at the mercy of her party. Leading proponents of Brexit called on her to abandon the deal struck with the Cabinet last Friday at Chequers, her country retreat outside London. Jacob Rees-Mogg, who leads a bloc of Brexit-supporting Conservative MPs in Parliament, urged May to give up on the plan. "What the Prime Minister needs to do is to give up on the Chequers proposal ... which does not actually deliver Brexit," he told LBC Radio. If she refuses to change course, she could face a leadership challenge. Under Conservative Party rules, a leadership race could be triggered if at least 48 of her MPs declared their support for one. There was feverish speculation on Monday about May's prospects. Long before the Brexit referendum and its aftermath, the Conservative Party was split on Europe, and May has struggled to unite the warring wings under her leadership. An attempt to enlarge her parliamentary majority with a snap election -- that would have allowed her to sideline euroskeptic Conservatives and pursue her own vision of Brexit -- ended in embarrassing failure. May does not enjoy a majority in Parliament, and governs only with the support of the 10 MPs of the Northern Irish Democratic Union Party (DUP).